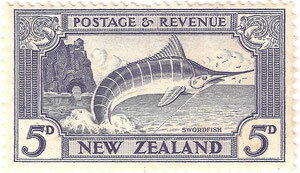 5d Swordfish - New Zealand Stamps, A 1935 Pictorial overview. 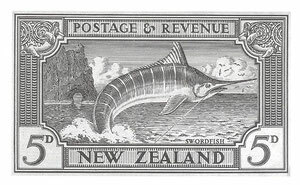 WJ Cooch and RE Tripes, line drawing for the 5d stamp. 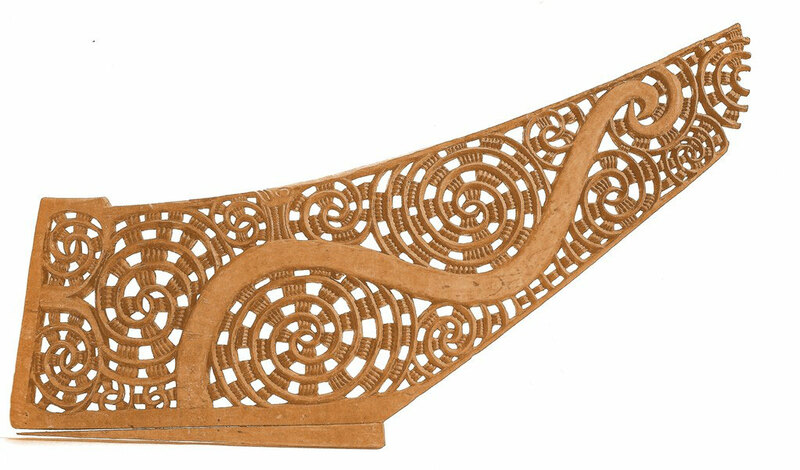 5d. 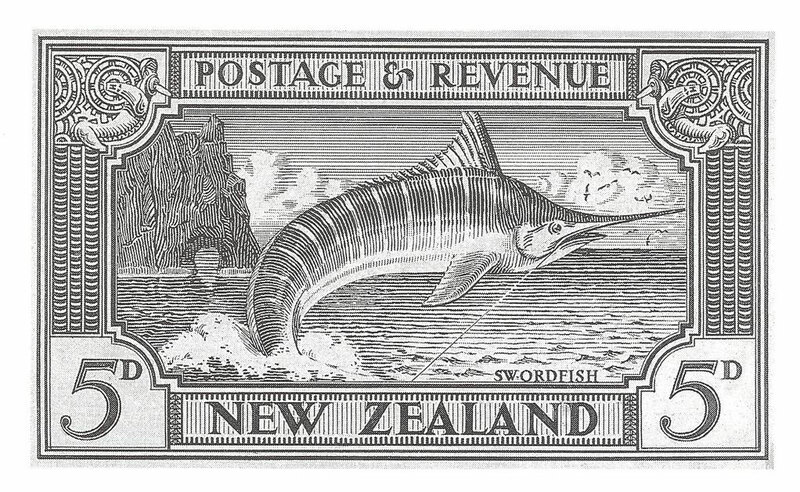 Swordfish. The location is near Piercy Island at Cape Brett, a renowned fishing spot for Striped Marlin and Mako Shark. 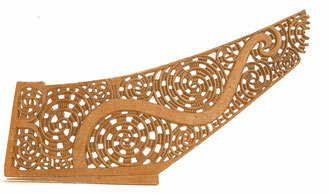 Again, featuring ornate Maori carved borders inspired by war canoe prows .Design by R E Tripe and W J Cooch.